Your Baby Needs Jaundice Treatment. Your Baby Needs You. Let Them Have Both. Say goodbye to unnecessary stressors, say hello to better treatment. Being separated from your baby is the last thing you want to happen right after you give birth. And yet, if your baby has jaundice, you don’t want anything to get in the way of their treatment - even if it means you’re required to make a few sacrifices. But we don’t think you should have to sacrifice. We think your baby should be able to get the best jaundice care in the comfort of your arms. There’s no better place for your baby to be and they need you! That’s why we designed SnugLit specifically to eliminate the unnecessary stressors currently associated with traditional jaundice treatments. During treatment with SnugLit, your infant is swaddled securely in a comfortable, warm cotton material. SnugLit is easy to use and seamlessly permits normal infant care by giving you uninterrupted time spent with your newborn. You can say goodbye to interrupted feedings, uncomfortable and cumbersome eye protection, and periods of no-contact. You no longer have to subject your baby to confining incubators and cold, fiber optic pads. SnugLit is the bridge that connects you with your infant’s jaundice treatment. Part of the uniqueness of SnugLit is that the while your infant is undergoing treatment, you don’t need to separate from your newborn. 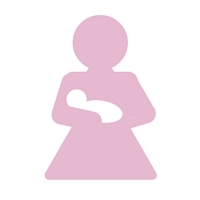 It allows you to hold, bond, and breastfeed your child without interrupting phototherapy. 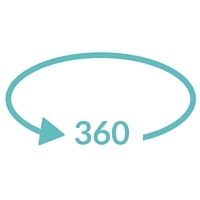 Due to its professional 360-degree design, you can rest assured knowing the device will remain in its optimal placement to ensure that therapy is delivered effectively. ﻿Have more questions? We have answers!